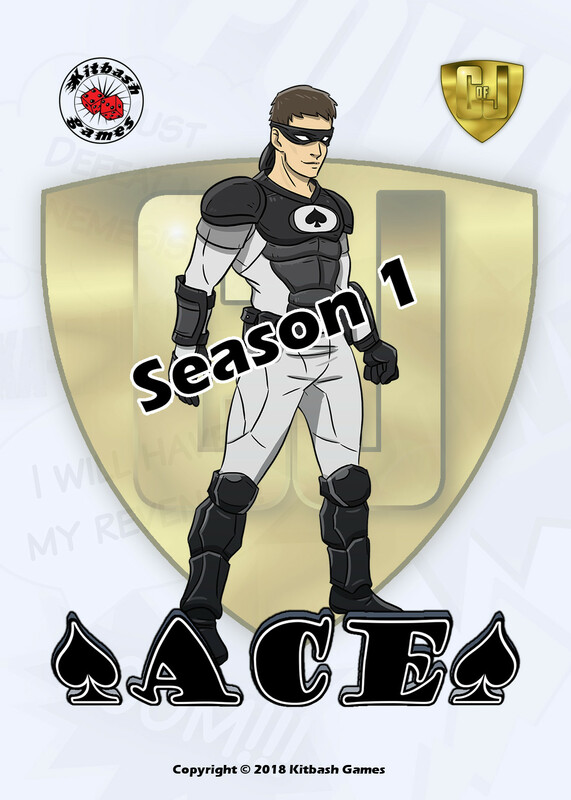 Ace is next in line for our Season 1 previews - a happy-go-lucky hero who fights alongside The Cowl as a member of the Covenant of Justice. Journalist by day, costumed vigilante by night, Ace is having the time of his life as a masked hero – but will his luck finally run out? The man who calls himself Ace started his newspaper career with the crime beat. Dan Fortune's job included covering the latest super battles in Metro City, his editor constantly telling him that "supers sell papers!". One night he got too close to a story, chasing a long-shot lead which brought him to the old abandoned Ace Toys factory where captured Unhumans were being held. He thought it a good omen as his childhood nickname had been 'Ace'. Dan watched as one by one, containment cocoons were loaded into a truck. Thinking quickly he raced to a nearby pay-phone, miraculously in working order, and tipped off the police. Then he ran back to his nearby car, donned gloves, grabbing an old black t-shirt, quickly tearing a strip from it to fashion a crude mask. Sneaking back to the factory, Dan managed to creep up on the driver's side of the truck as the last cocoon was loaded. With the element of surprise he managed to grapple the driver from his cab, and leapt into his now-vacant seat. Dan gunned the engine and fled. The kidnappers gave chase in a couple of SUVs, but Dan's luck held as he swerved in an out of traffic when he hit busy city streets, with one pursuer then the other crashing into oncoming vehicles. As soon as police cars joined the breakneck convoy, Dan skidded the truck to a halt, and fled into the night, confident the victims in the truck would be safe. Dan was exhilarated. That night he managed to make the final deadline in the nick of time, the Daily Metro getting the scoop of the year when it announced the city's latest heroic masked crusader - Ace.